Is Nintendo’s NX already in hot water? More than a few video game pundits were surprised when Reggie Fils-Aimé, the president of Nintendo America, said that for Nintendo a console’s power wasn’t important, adding that “it’s not about the horsepower of a particular system. For us, it’s about the content”, according to IGN. This was surprising taking into account the console “arms race” that the two other major players in the console world, Sony and Microsoft, have embarked on recently. Sony has admitted that a new, more powerful PS4 model codenamed “Neo” is in the works, although the Japanese company did not show off its new, upgraded PS4 at this year’s E3 show (even if many expect the Neo to hit the market this fall). Also, Microsoft did in fact announce the new Xbox “Scorpio” at E3, a console that will be more than 4 times more powerful than the current Xbox One, and will support 4K or ultra-high definition resolution and virtual reality games. According to Phil Spencer of Microsoft, Project Scorpio will be “the most powerful console ever made”. So the words of Nintendo president Fils-Aimé certainly sounded strange to some, suggesting the company will be relying on some new gimmick like the single-hand controller of the Wii or the ill-fated (and under-utilized) touchscreen of the Wii U to sell their upcoming NX console. And although some would argue that the NX’s lack of power might put it in a difficult position vs the new Xbox and PS4 consoles next year, this will likely not be the case in my view. For starters, some analysts have argued that Microsoft made a grave mistake at E3 by announcing Project Scorpio so early, as the console won’t be out until fall 2017 likely making those looking to buy a new console not go for the Xbox One (or the new, slimmer Xbox One S model which Microsoft unveiled at E3), settling for rival Sony’s PS4 or perhaps deciding to wait until the Scorpio is out in 2017. But the thing is that there’s less incentive to go for an Xbox console right now taking into account that Microsoft’s major franchises like Gears of War and Halo are headed for PC too (Gears of War 4 will be out on PC and Xbox One on October 11 this year, for instance), meaning that there will be hardly any “true” Xbox One exclusives in the market in the future. 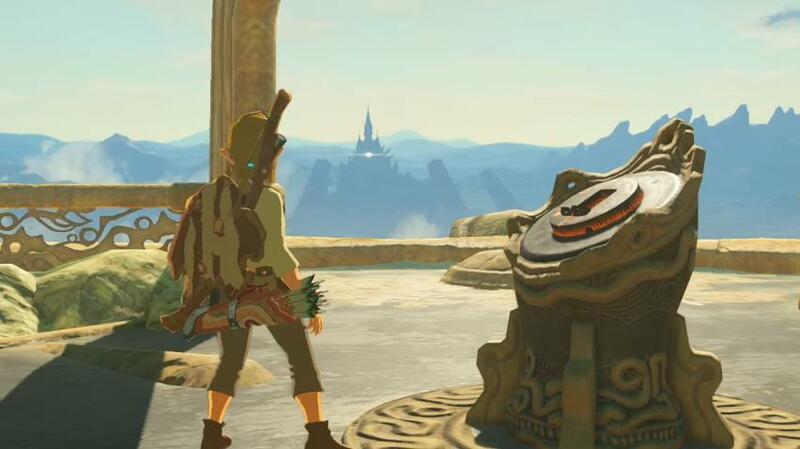 The Legend of Zelda: Breath of the Wild could be one of the first great exclusives for the Nintendo NX. On the other hand, Nintendo has a strong line-up of first-party exclusive games for the Wii U, games like Mario Kart 8 and Bayonetta 2, and it’s likely the NX will also feature a high quality line-up of games, starting with The Legend of Zelda: Breath of the Wild, a game that wowed many at this year’s E3. So Nintendo doesn’t have to worry too much about Microsoft’s Xbox Scorpio if it can put out a sterling line-up of first-party exclusives for the NX, as its main rival will likely be Sony’s world-conquering PS4. The PS4 is clearly the most popular console this generation, is arguably better than the Xbox One, and has great exclusives like Uncharted 4 and other great-looking upcoming games like Detroit: Become Human. Nintendo has been fighting the console wars for decades though, and certainly knows its Japanese rival very well, so it’s likely that the new Nintendo NX will be able to put a fight and not end up becoming a disappointment like the Wii U has been. After all, Nintendo is too important a part of the video game world, so here’s hoping that it can deliver a worthy console with the NX next year, one that brings a smile to Nintendo fans the world over.